As most of you know, Round Up “the miracle” is causing lots of glyphosphate resistant super weeds. 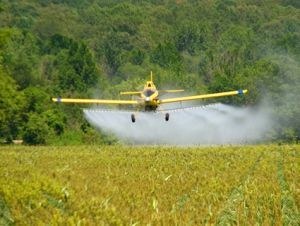 However, the author of this article points out that there is indeed another way to help solve this problem created by the use of this “lovely” herbicide. If we farm as much as we can actually handle without resorting to making agriculture an oligarchial industrial complex, we can actually steward the land and increase productivity and soil health in the process…..Oh for logic and reason to prevail! Never mind, I went off to a daydream.